Recently, by sheer coincidence, I stumbled upon Zeitgeist: Moving Forward, a 2011 documentary by Peter Joseph, the third film in a series. This film really caught my attention as it tries to solve an ancient question, which occupied my mind for a long time as well: what kind of society should we strive for? Although the focus of this blog is not how to change the society, I have decided that, since no man is an island, I will occasionally write about social change, too. I am no fan of the Zeitgeist Movement and I haven’t really watched the first two of the Zeitgeist documentaries in its entirety (only a few short clips). This film, however, was so interesting to me that it prompted me to watch it from the beginning to the end, even though its running time is 2 hours and 41 minutes! Although film is thought provoking, remarkably well done and also has some humorous bits in it, I don’t agree with the proposed solution. I agree with most of its analysis of the current state of the world, but the vision of so-called resource-based economy (which was defined by Jacque Fresco and his Venus Project) seems utopian to me. I am convinced that it is completely unattainable in any foreseeable future, and I suspect that it may even be outright impossible. It is based on a faith that science and technology alone can solve every problem. It proposes massive social engineering, unprecedented in human history – such as a complete abolishment of monetary system, market system, and even labor for income gain, which it views as the root causes for all our problems: in a resource-based economy, there would be no money at all. (Segment of the film, which deals with our current monetary system, makes some huge oversimplifications, probably due to film being too long already – for more in-depth understanding of this topic watch Money as Debt trilogy by Paul Grignon). Frankly, I think that much of the appeal of the Venus Project, comes from the visuals – nice, futuristically looking models of the cities of the future, with cars automatically operated by satellite navigation, automation of labor (robots and machines do everything), and a picture of a sail boat, where you can spend you free time – which would be all the time. It makes your imagination to soar. But it’s not just that. These people honestly believe that this would be the best system to live in: a global economy, controlled by computers for optimal results and maximum sustainability, where every human need is taken care of. In fact, it is a variation on a theme by Karl Marx: From each machine according to its abilities, to each human according to his needs. In resource-based economy human work – all completely voluntary – is limited to scientific research, innovation and creativity, and supervision of the system. The film preemptively deals with a critique, that this kind of society would not be possible due to incompatibility with human nature. The first part of the film discusses at length that nature vs. nurture debate is a false dichotomy; that it is impossible to understand how biology works outside the context of an environment. That’s fine and correct. However, the film then tries to convince us, that in that case, we can overcome any restriction of human nature, if we try hard enough. That is questionable at the very least, and possibly false. There are other questionable statements there: like the one that native tribes – living in an environment free of corrupting effects of civilization – had much lower incidence of violence than societies with more developed civilization. This idealized view of life in hunter-gatherer societies, known by the term Noble Savage, is disputed by some scholars – Steven Pinker argues in his book The Blank Slate: The Modern Denial of Human Nature, that primitive societies had rather high incidence of violence, such as inter-tribal warfare. But even if we did believe that people have no innate shortcomings that can’t be overcome by positive social environment, even if we did believe in unlimited malleability of human society that can be reshaped as we wish, and that society which is envisioned in this film could indeed exist and prosper, the big question would remain: how do we get there? The film offers no practical solutions in that respect and that is it’s biggest flaw. It doesn’t even try. Building the society of the future is described hypothetically, in a “what if” game. What if we discovered a planet that was identical to Earth, except that it would have no human civilization yet? How would we go about and populated this planet with humans? The film at this point feels like some sort of multi-player strategy computer game. Two things are needed to reach a destination: first, a vision of where you want to go, and second, a plan of getting there. Zeitgeist: Moving Forward is unfortunately not moving forward at all – it only knows where it wants to end up, but doesn’t give us any idea in which direction to go, which practical steps to take – not at some future time, but things we could implement right now. Of course, it is clear to everybody that you can’t strip the Earth of its civilization and start building from scratch. But all that this film does is suggesting that change will somehow happen by itself, suddenly, after people have had enough and they organize global demonstrations against the system – something similar to Occupy Wall Street protests, only much more massive. Well, I don’t have much faith in revolutions of any kind. Usually they just change a few people at the top, but the system remains almost the same; or worse yet, anarchy and violence ensue, and people then become willing to trade freedom for safety, which can give rise to various oppressive regimes. I believe that gradual progress is the only right way to go. And for that you have to have a transition plan, a blueprint for the evolution of society that you want. Huge jumps are impossible – resource-based economy will develop gradually, overtime – or not at all. Still, I have huge respect for the makers of this film. At least they outlined what the problems are and have a vision for the future. They are doing something about it: trying to educate public about what is wrong in our society and start a debate about possible solutions. It worked with me: this film incited me to think about this subject once again and I came out with my own proposal for changing the world. I drafted a manifesto for changing the paradigm of being, which you can find in Part 2 of this article. The basic premises for my manifesto were that outward changes in our society could only be the result of inward changes in individuals. And society at large will change only after a big segment of population went through change in their own lives. Secondly, things can be accelerated if those individuals that are ready to embrace change group together and work together on changing themselves and the world. Thirdly, although I don’t reject the global approach which can be facilitated by the internet, we should not forget about the power of local approach: people live most of their lives in a local community, have most of their friends and relatives coming from the same local environment and have to deal with their local problems – that is why I primarily support local approach and decentralization. Without further ado, here is Part 2: Manifesto. 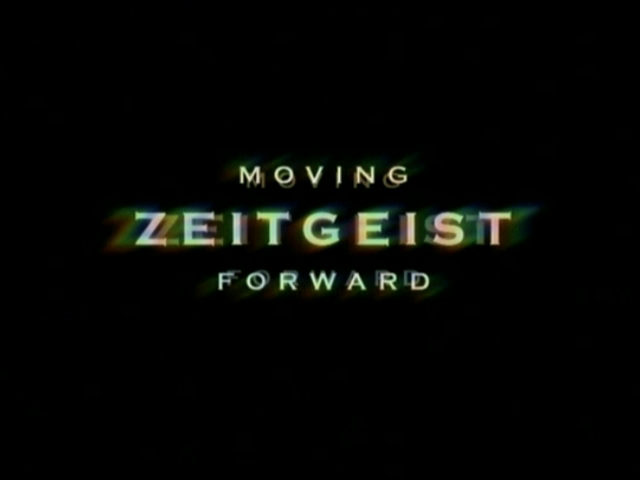 To watch Zeitgeist: Moving Forward click here. Posted on November 14, 2012, in Social change and tagged Blank Slate, film review, Jacque Fresco, manifesto, Money as Debt, nature vs. nurture, Noble Savage, Occupy Wall Street, Paul Grignon, Peter Joseph, resource-based economy, Steven Pinker, Venus Project, Zeitgeist: Moving Forward. Bookmark the permalink. 2 Comments. Just as a quick note, RBE isn’t solely defined by TVP and TZM, it actually originates as term and concept before TVP J. Fresco, see http://occupyconcepts.org/wiki/Resource-based_Economy where I also formulate my criticism, but realized, there are more groups which work in RBE on, and yes, it is not easy at all, and the very details how RBE could work aren’t developed yet. Thanks for pointing out that the idea of resource-based economy originates before Jacque Fresco. I didn’t know that, and in this film it is not mentioned. I solely wrote a review of Zeitgeist: Moving Forward – I didn’t investigate these concepts in detail.